To access your monthly invoices (receipts), go to Settings > Billing Overview > Payment History. You can also opt-in, so that the Account Owner will receive these invoices by email every month. To opt-in, go to Settings > Billing Overview > Email a Copy of Invoices and hit Enable Email Invoices. 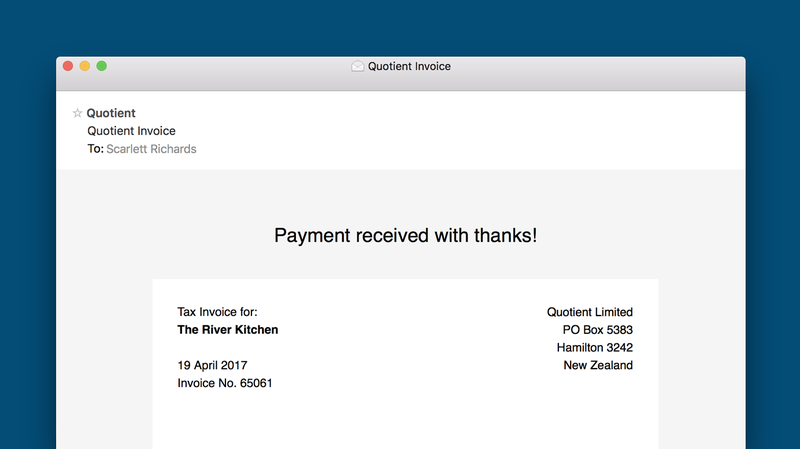 Can Invoices be sent to another email address? There is no tax to be paid (to Quotient) for customers located outside of New Zealand. In this case, your invoice will read "No tax (zero rated/exempt)".